New York Cafe feature the amazing Jeff Reid on Saxophone combines the soulful sultry sounds of Cafe del mar chill out sessions with the smooth lounge New York jazz sound of the saxophone. JEFF, born and raised in New Jersey, U.S.A has been playing the saxophone since the age of 10. In 2006, during his senior year in high school, he won best soloist at every jazz festival in the Tri-State area of America. From this recognition, Jeff had the opportunity to tour Greece with the Philadelphia Jazz Orchestra. This experience inspired Jeff to further his career as a jazz musician. 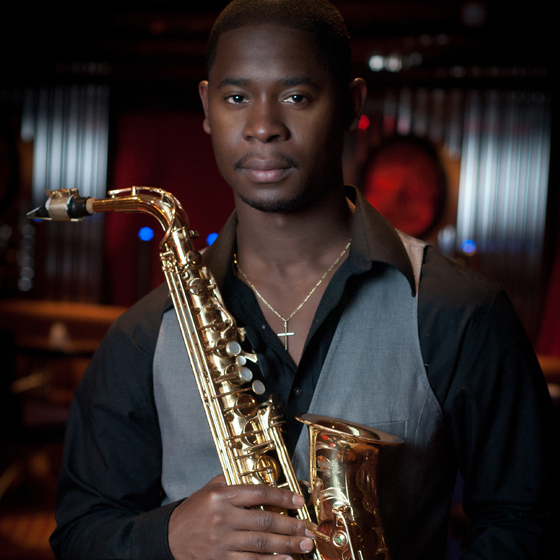 From 2006 -2010 he attended Temple University on a full scholarship where he majored in Jazz Performance/ Saxophone. He studied the saxophone under the tutelage of Richard Oatts (world renowned jazz saxophonist) and participated in an eclectic of ensembles and groups. With these bands he performed at many world renowned venues such as Dizzy’s Club Coca Cola in New York City, and The Kimmel Centre in Philadelphia. He also led his own group, “The Jeff Reid Quartet”, where they played at many functions, private parties, and jazz venues such as Chris’s Jazz Café in Philadelphia, Salt Creek Grill in Princeton, New Jersey, and Zanzibar Blue in Philadelphia. Jeff has also done numerous contracts as a Showband Musician with Carnival Cruise Lines on the Freedom, Liberty, and Legend ships. Currently Jeff is a member of the Hanlon Brothers group and performs in various venues throughout Queensland. Throughout Jeff’s musical career he has had the privilege to perform on stage with jazz greats such as Richie Cole, Richard Oatts, Terell Stafford, John Mosca, Benny Golson, Houston Pearsons and Claudio Roditti.